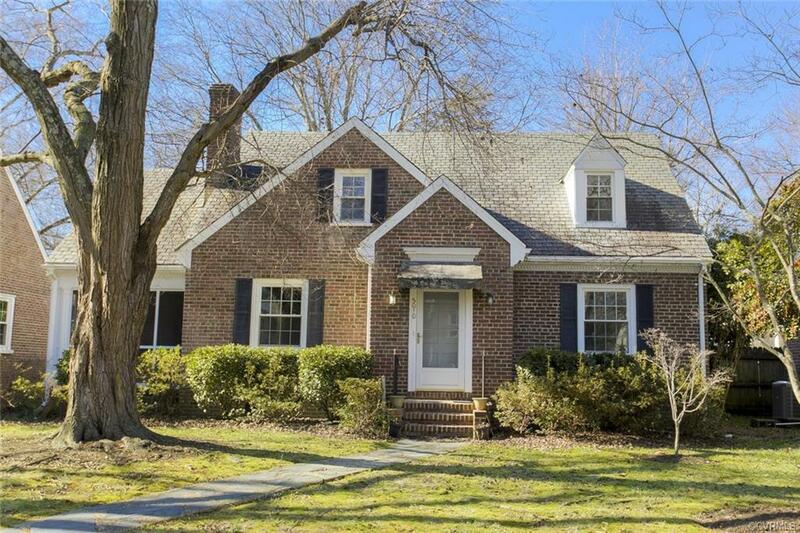 Absolutely adorable brick and slate cape nestled in North Ginter Park. Renovated kitchen boasts new stainless appliances, ceramic tile floor, some new cabinetry and granite counter tops! Hardwoods throughout first floor. Screened porch off living room with masonry fireplace. Dining room filled with natural light! Laundry Room with cabinetry and access to exterior. First floor master. Second first floor bedroom- custom built in desk/shelves. Full bath loaded with charm and newer pedestal sink and mirror. Newer windows. New interior lights and freshly painted interior! Fabulous fenced yard with huge workshop/shed. Best of all, the unfinished second floor offers endless potential for more space and includes a storage room with shelves and large closet! Walk to shopping and minutes to I-95.